Cosmetic Dentistry evolved with improvements in bonding and composite technology. Bonding of composite (filling) material to the enamel and dentin of the tooth structure means chemical bond between the filling material and the tooth structures. 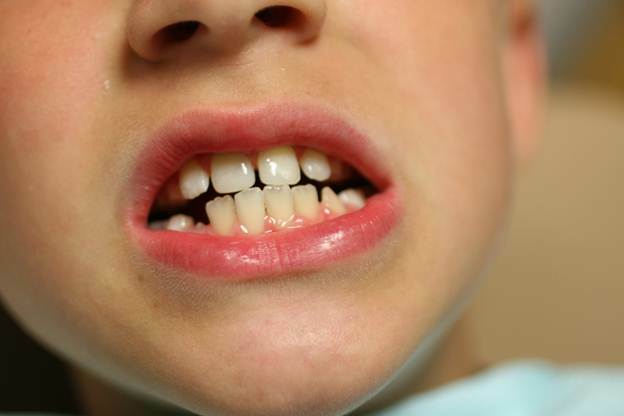 Enamel of the tooth is the outer layer of the tooth (“white” color) makes the tooth look pearly and beautiful. Bonding to enamel is stronger than to the Dentin. Dentin is a yellow colored part of the tooth located under the Enamel layer. Over the last five to ten years bonding to the Dentin significantly improved. Parallel to the improvements in bonding technology, new technology lead to the development of stronger cosmetic composite dental materials. Modern Nano composites are made up of microscopically small particles that can be polished to a very high degree of luster and translucency. All that means highly aesthetic filling materials that can be indistinguishable from a natural tooth structures. As with any dental procedure, case selection is critical for success of a procedure. Case selection means good diagnosis of a problem and proper treatment plan in a given situation. Patient understanding of clear choices is crucial. In a case of our young patient, tooth fracture could be restored by direct cosmetic composite bonding, or minimum preparation ceramic veneers. Ceramic veneers is a good choice, even in a young age, because it can be accomplished with very little (or even without) tooth reduction. These restorations are very strong and long lasting. Parents of our teenage patient chose direct composite bonding. 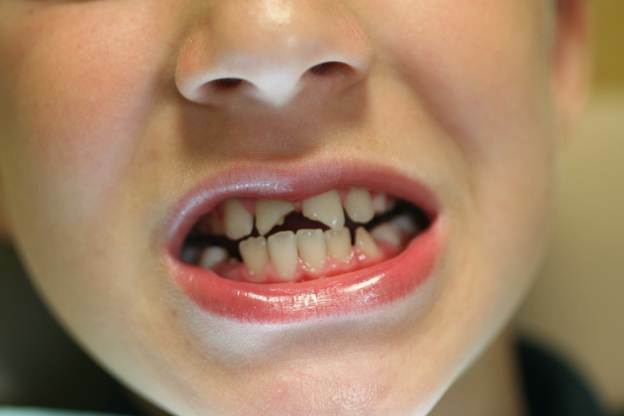 Patient is a 10 years old boy presented with fractured upperanterior teeth. Because of a young age of the patient, Minimally Invasive Treatment was selected.